We take pride in the services we provide. Click here to see what your neighbors are saying about us! 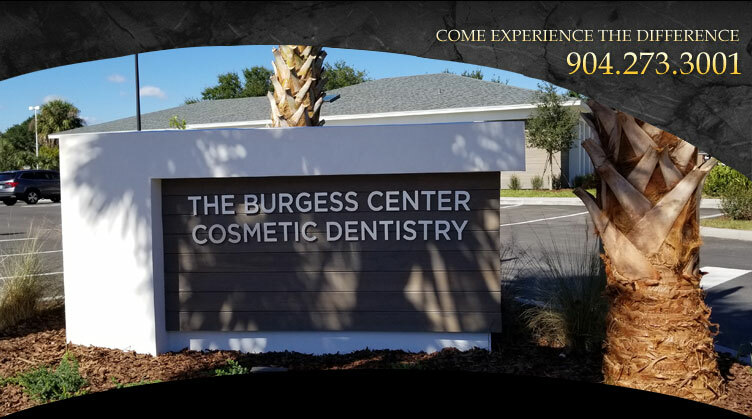 At the Burgess Center, we pride ourselves on delivering the highest quality cosmetic dentistry procedures and patient care available in the industry. Founded by Dr. Eric Burgess in 1999 and located in Jacksonville, Florida, we have been giving our clients the healthy, sparkling smiles they deserve for over 18 years. Our practice emphasizes a high standard of excellence in every procedure we offer, whether restorative or cosmetic treatments, to help our patients achieve optimal dental health. We also aim to empower our patients to take charge of their own dental well being by offering advice on preventative dental care and emphasizing the importance of regular dental exams. In this way, we hope to ensure our patients stay healthy between visits and enjoy all the benefits of well-maintained, strong teeth. In order to deliver the industry-leading cosmetic dentistry procedures our patients deserve, we hire only the most highly qualified, experienced and dedicated dental health professionals. Our team shares the same commitment in improving the quality of life and oral health of all our patients. We place strong emphasis on continued education, through attending top-level lectures and conventions, to ensure we offer you the latest dentistry products on the market. We value our place in various professional dental institutions, which allows us to stay informed about the latest developments, newest products, innovative equipment and techniques in our dynamic industry. Because we place considerable value on the health and safety of our patients and staff, we ensure that top health and safety standards are always adhered to. We strictly maintain American Dental Association (ADA) recommended sterilization and cross-contamination processes, as well as those recommended by the Center for Disease Control (CDC) and the Occupational Health and Safety Administration (OSHA). At the Burgess Center, we know how important it is to ensure a positive experience for each and every one of our patients. As a result, all our staff members are devoted to giving you personalized, comfortable, state-of-the-art services in a relaxing and tranquil environment. We have invested in the most effective patient comfort products and procedures to assist in making your appointment at the dentist as restful and pain-free as possible. If you’d like to make an appointment at our cosmetic dentistry practice or find out more about our wide range of services and our team, please contact us in Jacksonville today. We’re looking forward to bringing you the natural, healthy smile that you deserve!